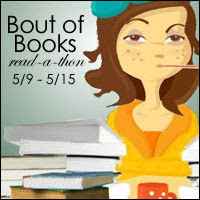 It’s a little late, but I thought I’d set up my progress post for Bout of Books! I read most of One Perfect Day: The Selling of the American Wedding by Rebecca Mead, a fascinating look at the contemporary wedding industry, and then blew through Anne Tyler’s Vinegar Girl, a modern retelling of The Taming of the Shrew. I also completed the #insixwords challenge on Twitter. I devoured The Raven King in its entirety! Such a wonderful and fitting end to the series. I’d really love to reread all four books, one right after the other, so that I can pick up on everything I’m sure I missed the first time through! I also tweeted a pic of my bookshelves for the #shelfie4boutofbooks challenge.